I do not in any way encourage sweatshops or child labor. First thing is first okay, we need to learn what a sweatshop is before we can make any assumption what so ever on if it can be good for a developing country. 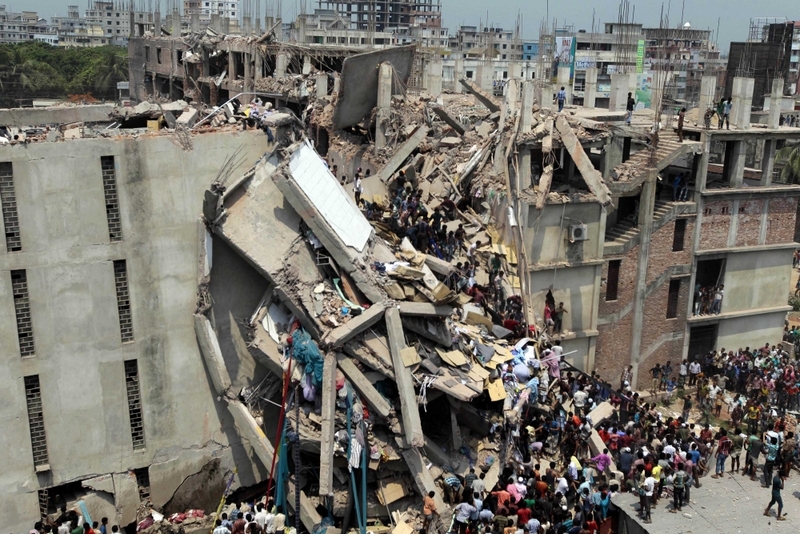 A sweatshop is basically a factory that has harsh conditions and often hazardous conditions for its employees. Its employees are paid extremely low wages and do not plan to give higher wages anytime soon. 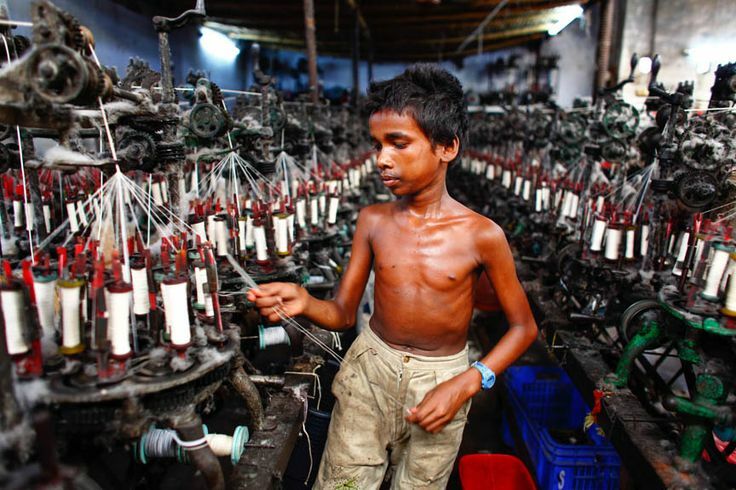 Sweatshops also have a record of employing children at some points around the world. That is a tactic that is often wrong and many people myself included do not like at all, children should not have to work at a young age. The second thing that we have to look at is what qualifies as a developing country and what is a developed country. Once we determine the difference between those two things we can name a clear cut example between the two and make our final decisions on whether or not sweatshops can help developing countries. Well, what is a developing country, a developing country is a country that is not well off and needs to advance itself economically, technologically, and socially. Developing countries often do not have the fund to do this themselves as they are dealing with sometimes war, famine, natural disaster and the overall lack of proper literacy rates, and education in general. These states often do not have very good human rights records and don't have the ability to industrialize themselves. Now, what is a developed country? A developed country is rather the opposite as they most probably have better education, human rights standards and are socially more advanced. Developed nations are also advanced in almost every aspect as they have had more support throughout history and have more experience than developing nations. Well, Yes it can for a sizable amount of reasons. The first reason is that they give jobs to people who without a sweatshop would most likely not have any job and would try to resort to crime for income. Sweatshops create a path for industrialization in a place where before there was most likely little to no factories at all. 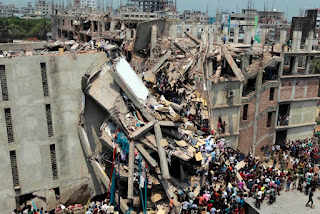 Yes, the pay is low but in most developing countries that two dollars workers of the factory earn per day is actually three times the national average.Sweatshops are not as dangerous as you might think. Sweatshops create jobs in a state where there isn't any work or rather very little work, to begin with.Sweatshops provide a job where the worker does not need to be very skilled and can be trained very easily to use the equipment in the factory to an efficient standard. If sweatshops did not exist in developing countries the people that are currently employed by them would have to resort to another option such as crime, agriculture, etc. Sweatshops also create a path for industrialization in a place where before there was most likely little to no factories at all. Sweatshops give the option to have different types of machinery in the factory for the workers to produce the items in a higher amount. Machines do the work faster than by hand and that's why machinery is introduced into these factories so those unskilled workers can then become semi-skilled workers. `The pay in sweatshops are low, yes, but when you compare how much a sweatshop worker can make vs a regular worker in a developing country makes. 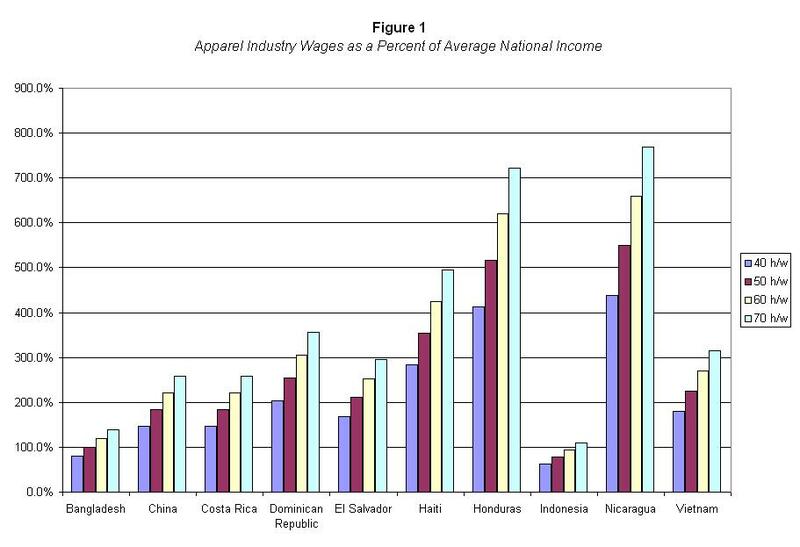 The worker that works in a sweatshop factory actually earns more income. They earn three times more than the national average, and it's only two dollars. All in all, sweatshops create a path for industrialization and can create semi-skilled workers in a country that without the factories that are needed would not have that option and it would take significantly longer to advance themselves. 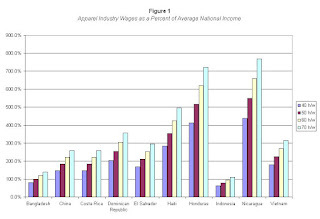 Sweatshops also create jobs in a state where there isn't any work and the people who currently work in the factories would have to resort to crime, agriculture etc.The pay however in sweatshops are low, yes, but when you compare the national average to the pay of a sweatshop worker it is actually three times higher. While there might be a list of good reasons there obviously is a bad part to it. The first reason why is that children are often used in these sweatshops and that's just not right because a child should not have to work at a young age because it can damage them in the future. The overall working conditions of the factories are absolutely horrendous and desperately need to be improved. There is also a denial of benefits that should be included for the employee. Children should not have to work in a sweatshop. No child should be subject to the abuses that go on in a sweatshop such as the conditions and denial of benefits etc. Children are however still used in sweatshops and can not go to school, because of the long hours that come with the job. If a child can not go to school they'll end up suffering for the rest of their life simply, because of the lack of education that was denied to them for work. 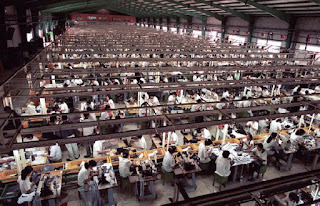 The overall working conditions of sweatshops are by far ugly and can cause health issues if not in the short term they will cause issues in the long term without a doubt.This happens, because the factories are built not with the health of the employee but with the mindset of "how much will this cost me" and thus leads to the idea that the worker doesn't matter and the factory can be built for cheap. When this happens things like proper ventilation is left out of mind and the worker when inside the factory can not see or breath properly, because of the lack of ventilation. Other issues with working conditions are the overly long hours that workers have. These people are working for 10-16 hours a day, now to put that into perspective for the understanding the average employee in the world works 8 hours a day for 5 days a week. 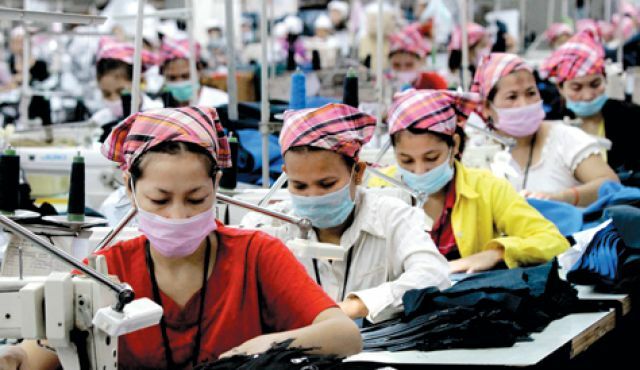 The denial of benefits in a sweatshop is anything but ordinary because they don't plan to give their workers anything expect a paycheck that is not that large. The worker in a sweatshop from our knowledge is not given health care benefits and does not have the legal or political knowledge to unionize and get the benefits that they need so very desperately. The employee is also not guaranteed their job and we have proof of this because when some workers stood up to their employers on the conditions they were fired immediately. The short answer is no, sweatshops would actually cause protest because in developed nations there are tons upon tons of rights for the employee that have to be followed by law. Some of these rights are the minimum wage, benefits of all types are often included in many jobs in developed countries, Job security is also far better in developed states vs developing states, because of the many rights that the employee has.